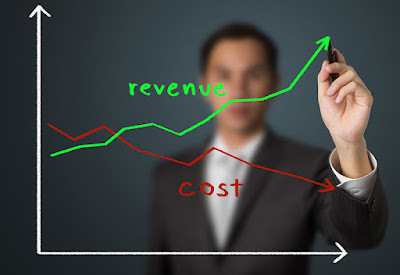 Revenue Management for an organization means to Increase Profit, utilizing market demand and converting the demand in revenue maximization. The strategy of Revenue Management is to focus on price rather than costs when balancing supply and demand. It suggests exploiting each products value cycle & continually re-evaluating revenue opportunities. 2-Price Fencing, it must be done properly in order to sustain for long term in market as the price must be according to market it may not be more or less. Online Travel Agents (OTA) are considered as Frenemy for hotel business as they provide the business in the time of low occupancy as well as they cut the profit margins of hotel at the time of peak season, Here the part of Revenue Management plays effective role of taking decision how to deal with situation and raise more revenue. Sticker is related to pricing strategy of Revenue Management, Sticker must be placed according the market condition as how the organization wants to capture the value of product or service. It must be marked different for Superior, Inferior & Substitute products or Service. Stock is the Holding Inventory with the company. The Revenue Management focuses on controlling & effective utilization of its Inventory as an when demand of market. Organizations performance is mainly dependant on the way of product or service presented to the consumers by the Marketing, an effective marketing promotion helps to maximize revenue & increase the loyal customer. Mode of Distribution plays a vital role in Revenue Management. It decides proper Channel of distribution that is cost effective for both organization & customer. For example a customer purchasing online is more Price conscious than a customer doing offline shopping so the channel of promotion & distribution must be through e-business or Web portal. During the time of Recession Revenue Management played a vital role in effective utilization of available resources by the means of Cost Optimization. “Poor marketing can damage an organization, poor pricing can damage an entire market” -Colin Jasper.